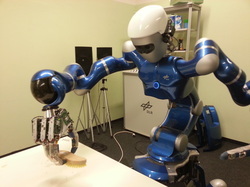 Grasping and manipulation of objects are essential motor skills for robots to interact with their environment and perform meaningful, physical tasks. Robots are still far from being capable of human-level manipulation skills including in-hand or bi-manual manipulation of objects, interactions with non-rigid objects, and multi-object tasks such as stacking and tool-usage. 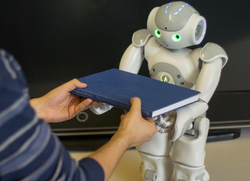 My research focuses on the application of machine learning and imitation learning techniques to allow robots precise and goal-oriented manipulation. 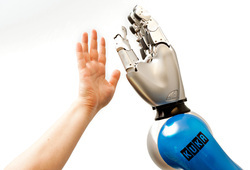 Close physical interaction between robots and humans is a challenging aspect of robot development. 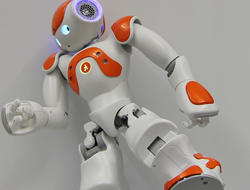 For successful interaction and cooperation, the robot must have the ability to adapt its behavior to the human counterpart. I am investigating the development and evaluation of computationally efficient machine learning algorithms that are well suited for close-contact interaction scenarios.